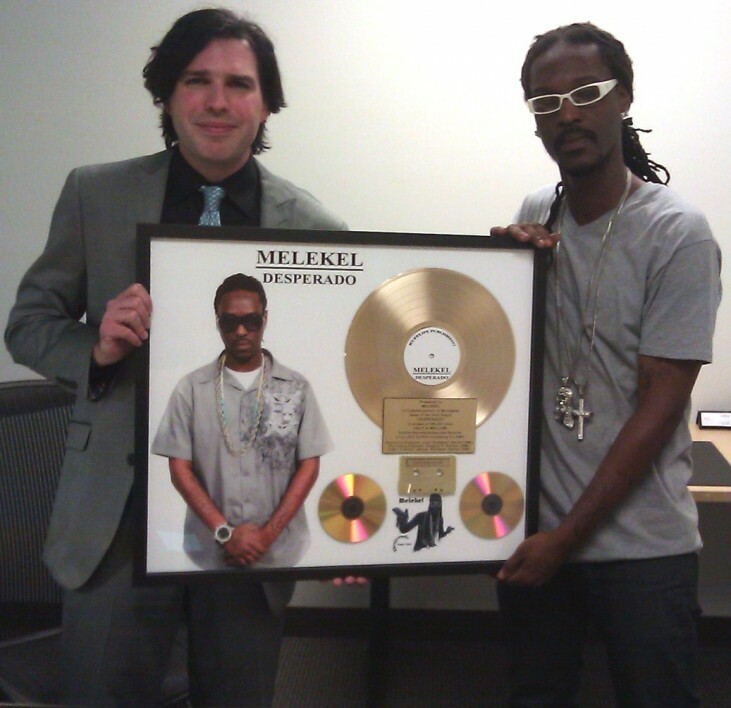 Reggae single Desperado by Melekel in Gold Status (500K Units), sixteen weeks after its release, catapulting him into the International Mainstream Market. Nov. 24, 2012 - PRLog -- As the entire world faces tough economic times and people from all walks of life struggle to get bye, in search of relief from the burdens of everyday life, International Reggae Star Melekel’s hot single: “Desperado” on Interscope Records is a hard hitting, fast pace, dancehall reggae song; that evokes this very reality into the forefront of the collective conscious minds of millions of reggae fans. With over Half-a-Million YouTube views in just a few weeks, the single maintains a strong presence in the streets, on social media, and in the international dancehall arena; fueled by the spectacular success of previously released “In Da Hood” featuring Yung Joc and the controversial but widely popular “Free Buju Banton,” both on the Island Def Jam label. The undeniable high dose of reality and cultural lyrics, along with a very catchy and fitting rhythm, inspired a song that people from all around the world are feeling and dancing without inhibitions. Recorded, mixed, and mastered by seasoned engineers in Los Angeles California, the entertainment capital of the world, Desperado by Melekel continues to climb the charts. With subliminal messages in music, artist exercise their will to reach as many people as possible and Melekel is no exception; as verse 1 of Desperado states: “hold on, enough of them fast and they’re furious if they could live life without crime am curious, better yet they step up into the studio, and create a new dance step or write a hit song and blow up.” Words that challenge some and encourage all through self-help, and the acquisition of skills through education. The Record Label has reported the Reggae single Desperado by Melekel in Gold Status (500K Units), sixteen weeks after its release, catapulting him into the International Mainstream Market. With an impending RIAA Certification, the single is destined to continue ascending the echelons of a Music Industry that has been known to require its artist to start fast and end strong. Melekel music is available on iTunes, Google play, and all other major music retailers; he can also be heard 24/7 on www.sphynxradio.com “The choice for new hits.” Follow him on twitter @melekelmusic and on facebook/melekel.